We add color to your documentation process! Browser-based, 100% cloud, flexible. It can produce online and printed documentation, PDF docs, context help, policies and procedures. Get started in minutes - just sign up and get your own documentation portal! Time is money. Learn what ClickHelp is in 3 minutes. Watch our documentation tool videos to see product features and save your time. 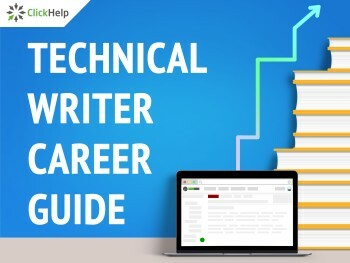 To share our experience and knowledge, ClickHelp team creates awesome content for technical writers, web designers and software developers. 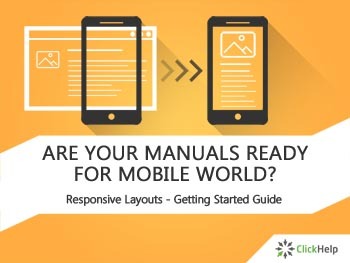 We create user manual templates, guides on technical writing, ebooks on web design and more - see free downloads below. Tired of manually handling 10 versions of a Word document? Document variations are easy to implement by using Variables, Conditional Content and Publish Configurations. You can get different content for every of the output formats. Use the content management functions of ClickHelp to make the process easier and save time. Need single-sourcing, but afraid of structured authoring and DITA? In your tasks, you can use just what is really needed. Often, there is no need to use complicated structured authoring approaches to implement single-sourcing. 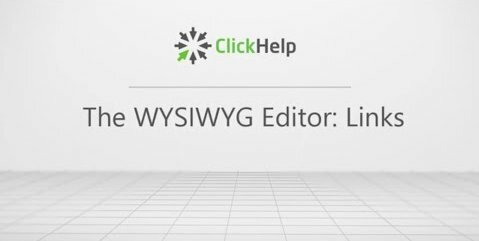 In ClickHelp, you can get the same benefits with the use of WYSIWYG and HTML source authoring. Did you ever lose changes when collectively working on a document? That happens to the best of us. The topic-based authoring approach with automatic document locking improves the collaboration and teamwork for technical writers. This helps get things done easier and quicker. Do you feel that "See this help topic" is a typical answer of your tech support? Nowadays, people search for answers on the Internet. Your task is to make sure they can find your content to get the answers. The SEO functionality of ClickHelp is an easy way to start addressing this need. Having trouble understanding the progress of your documentation project? 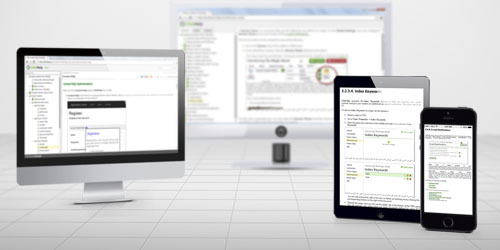 The project statistics ClickHelp collects is an easy way to get the answers you need. You will see the overall project readiness, the people assigned the highest number of topics, and more. Using this information, you can find bottlenecks and balance the load. Who is going to set up and manage your online documentation server? With ClickHelp, you don't have to think about this. With your license, you get a ready documentation authoring and online documentation hosting environment. Your task is to focus on great content - your clients need it. It is really easy to start with ClickHelp! Is your online documentation searchable for web crawlers? ClickHelp takes care of it for you! With Google Webmaster Tools and Google Analytics integrations, you are getting in-depth statistics about your readers free of charge. The built-in ClickHelp Statistics will give you additional documentation-specific stats for your analysis. Want to have video and interactive content in documentation? Content engagement is a trend, and you know this. Not sure where to start? ClickHelp is here to provide a solution within 5 minutes - ready sharing buttons, Disqus commenting service integration. Use them to start building a community around your content. Be closer to your clients, communicate with them more often - this helps build trust. Got a huge technical document that is hard to navigate? 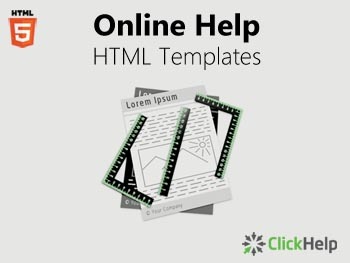 Topic-based authoring in ClickHelp is the answer to the navigation maze. The quick-filtered Table of Contents, Index, and Search - this will guide the readers to the right place quicker. Reader-friendly online documentation is what will help you stand out in your industry. Ready to learn more about ClickHelp? Check the product features!